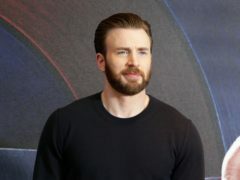 Chris Evans has said he hopes Tom Brady has “woken up” over his support of President Donald Trump and added his political affiliations would stop him playing the NFL star in a movie. History beckons this weekend for Tom Brady, who feels he is a better player now than when he first emerged on to the scene with the New England Patriots. Tom Brady acknowledged he has been “beyond blessed” in his glittering career as he prepares to contest his ninth Super Bowl with the New England Patriots this weekend.